Google announced Dec. 17 it will spend more than $1 billion to build a new office complex in New York City that will allow the Internet search giant to double the number of people it employs there. It is the tech industry's latest major expansion beyond the Seattle-San Francisco Bay corridor. It follows recent steps by Amazon and Apple to set up large operations well outside their home turf. "A lot of vendors are coming to the realization that ‘We can probably find top talent elsewhere at a more affordable cost, and perhaps a better style of life for employees who may be struggling to make ends meet.'" The Northeast is attractive because of its large concentration of highly-educated young people. New York in particular also offers proximity to Wall Street and already has the second-biggest concentration of tech startups behind the Bay Area and a large base of tech employees, Bartels said. Facebook, based in Menlo Park, Calif., has more than 2,000 employees in New York. Google, based in Mountain View, Calif., will fashion a complex of more than 1.7 million sq. ft. along the Hudson River in the city's West Village neighborhood, Ruth Porat, senior vice president and chief financial officer, said in a blog post. The news follows Seattle-based Amazon's announcement a month ago that it would set up new headquarters in New York's Long Island City neighborhood and in Arlington, Va., creating more than 25,000 jobs in each location. But it's not just the East Coast that is benefiting from the expansion. Apple, based in Cupertino, Calif., said last week that it plans to build a $1 billion campus in Austin, Texas, that will create at least 5,000 jobs. 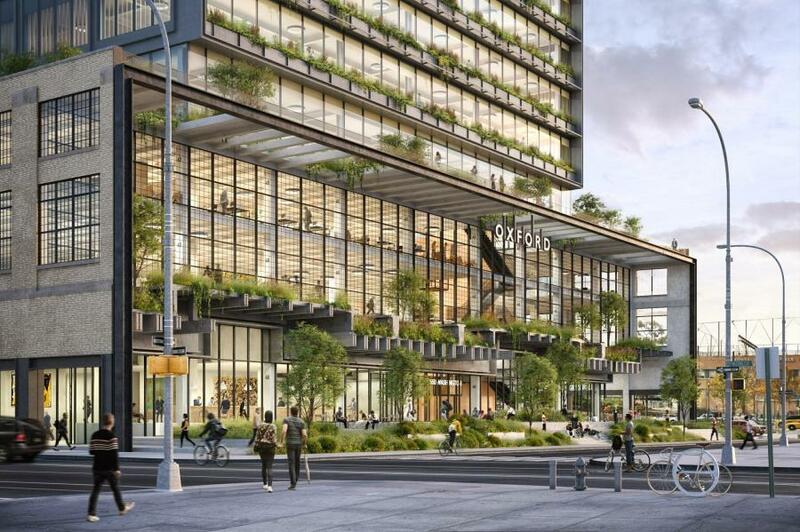 The company recently agreed to pay more than $100 million for a swath of land in downtown San Jose, Calif., for a big new campus that will include employee housing. Microsoft likewise is overhauling its headquarters in Redmond, Wash., with an 18-building construction project that will make room for an additional 8,000 workers. It currently employs about 47,000 in the area.